This is a prediction from Stefan Engeseth, CEO at Detective Marketing, and that among many other thing have written the book about Sharkonomics. The Swedish designer Joachim Nordwall, was asked to design the visionary idea of an Apple coin as a tribute to the legend who stated – Think different. What we see today is that our economic system is questioned, by right, under the surface. We face several crisis and more are to come. So what will a company do when our foundations is questioned? Steve Jobs changed the world and learned us that to Think different leads to development and change. Stefan Engeseth goes on with the idea that the message Think different on a coin, will inspire consumers to make a change with their consumption. This is also former necessity if we want to survive on planet earth, due to all pollution etc. Then go and test shopping with the coins in the nearest store or Apple store. If you don’t have a 3D printer there are companies as Shapeways that can help you print them. 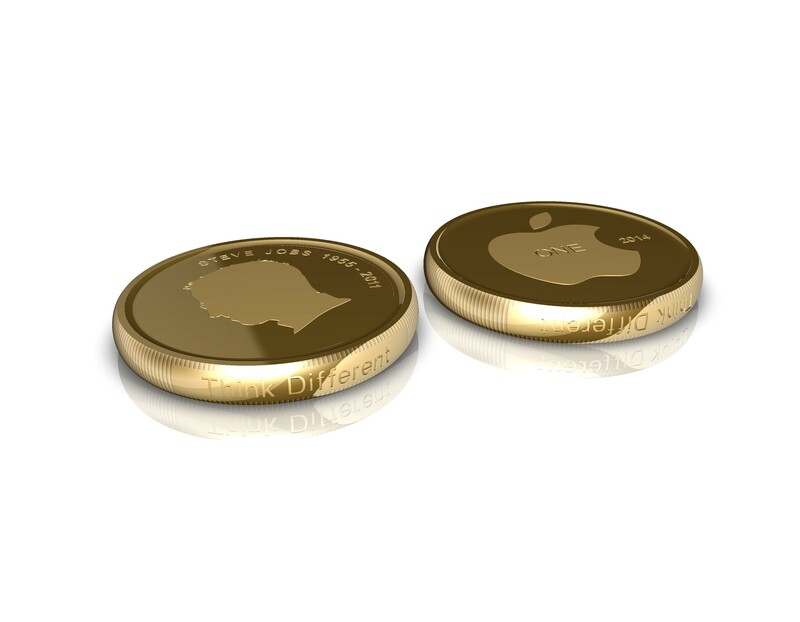 Download images and 3D formats of the Apple coin for free. PS Apple owns of course their own brand and this idea is only an idea, but most of all it is our tribute to Steve Jobs. The value of the coin is up to you to evaluate, we do not warrant that the coins will legally work for shopping but if your mindset is Think different then anything is possible. Being In New York Today, the 7th October 2014?